Mail at least one item through the post every day it runs. Write a postcard, a letter, send a picture or a cutting from a newspaper… anything goes! That’s it! The challenge started back in 2012, after Mary Robinette Kowal decided it was time for a break from the internet. She spent a month offline, and asked her friends to communicate with her through letters. The results were relaxing and intimate, so she decided to invite others to join, sparking a flurry of correspondence. Another happy mail-related event coming up is Mail Carrier Appreciation Day, which happens every year on February 4th. 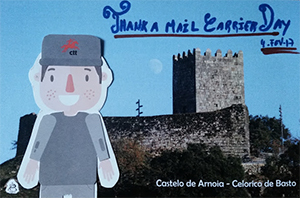 This is the day to celebrate our trusty mail carriers, who make it possible for this hobby to exist by delivering all our postcards! The date falls on a Monday this year, so make sure to make something nice for your mail carrier and give them a smile in the beginning of the week. Pour your gratitude into a thank you note that you’ll deliver (or affix to your mailbox) for them to discover on their rounds. I’m sure it’ll be the highlight of their day week! Last year i sent out three postcards a day the whole month of February. When this site had no available addresses, i went to other ones. When those ran out, i sent cards to the people whose cards have been travelling for more than 100 days and were probably lost in the mail. Maybe this year i'll do something similar. Btw, if somebody is sending cards to Russia and wants to thank the postal delivery person, the phrase is «БЛАГОДАРЮ ПОЧТАЛЬОНА». Please write this in other languages, so that i don't have to do autotranslation (which can be wrong). For all small currency we receive we gift the postman equivalent Indian rupees for the joy he brings from across the world. Great idea: "...surprising strangers across the world with postcards"! Thanks for sharing. I've been participating in this campaign the past five or so years and really enjoy sharing joy with friends and family through the mail. I just love Postcrossing ! What a wonderful ideas. In the Netherlands there is no delivery on Monday, but why just only on that specific day. It would be nice to write it on every post because sometimes it is a hard job to deliver post. Is it possible that Postcrossing gives us a list of translations in different languages: "Thanks Mail Carrier for delivering my post !" Огромная благодарность, за Вашу работу – почтовые работники! I am very grateful to the mail carriers! They have a hard job, they really deserve a letter of thanks! In German i usually write: "Ich danke den Postangestellten". In Tenggarong, Indonesia kindly write, "Makaseh banyak Pak Pos leh, minta reda!" Great Idea to leave a note for the Mail Carrier on February 4th, I'll definitely do that. In Dutch you can write: Dankjewel Postbode! I will remember to thank my post carrier in February for his hard work and dedication. I will try my best to mail a note everyday. Sounds like fun! You send Turkey. Please write:"Postamı ilettiğin için teşekkür ederim postacı!" I would love to participate by sending something everyday for a month. Unfortunately, the postage increased in Norway this year, so an already expensive hobby has now become impossibly costly. 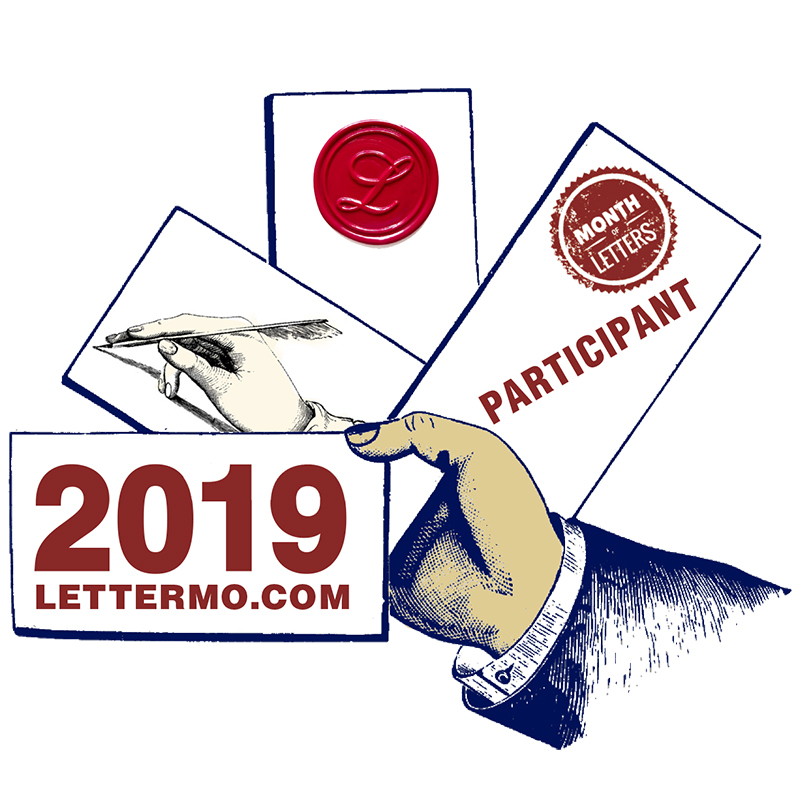 I know the Month of letters as InCoWriMo (international correspondence writing month) and I'm participating for the 3rd time! I am a mail carrier near Omaha, Nebraska, USA. Thank you for all the kind words for your carriers. It is a thankless (from management at least) job. But I get lots of thanks and appreciation from my customers that makes all the difference in the world. Just an idea... on really HOT days, a cold drink is appreciated. And on cold days...I have actually received hand warmers (that fit in your coat pocket), that really are lifesavers. And overall, I do love my job! In Portuguese, for Brazilian addressees: "Muito obrigado, carteiro". I have just returned from delivering a batch of my home made "Hobnob" biscuits to my local Post Office for all the lovely postmen and women who work there to enjoy. I have been told that they all love seeing the postcards that arrive for me, because it brightens their day as much as it does mine. That being the case, I couldn't resist writing my thank you note to them on a postcard! MOnth of Letters is one of the most interesting and inspiring things I found here in this site of Postcrossing. 2 years ago I wrote even more than one card each day for friends in my country and they were so surprised because NOBODY writes letters or cards anymore. And it is SO FUN!!!! Maybe I will do it from now untill end of february!!! It is still time to do it!!!! My birthday is February 4th, and I work for the US Postal Service (though I am not a carrier)... how appropriate! I am so glad I learned of this group through a Postal newsletter.